A doc named Dimetrius Moses spent his time looking up people’s noses; Danny loved to eat peanut butter with his fangs in; Frank was an unusual fish, he loved to bike and bop and dance to funk; and Morton Munson built a mansion and he painted the expansion pink! And these are just a few of the wonderful, fun and quirky animals that author Jeff Busch created for this really neat book. 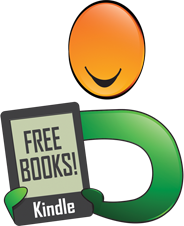 Each page gives readers a different and unique creature created by the awesome artful and creative mind of this author. Each turn of the page is exciting because you just don’t know what to expect. 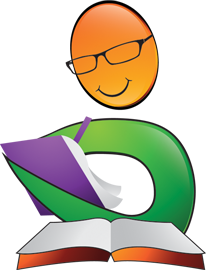 It will be fun to find your favorite as you read this amazing book. Morton Munson Built a Mansion (and other small stories) is a really different but interesting book for kids. 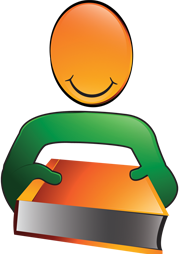 With a different character on each page, children will never be bored, and will be eager to read more. 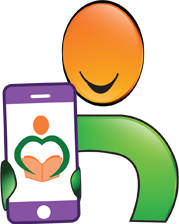 The creative imagination of the author instills in kids the fun and entertainment of having a vivid imagination. I love the unique, fun, funny and sometimes weird pictures of each character. The colors woven together with black and white throughout the book gives it a different feel, but works so well with the entire book, inside and out. This is just a fantastic book. 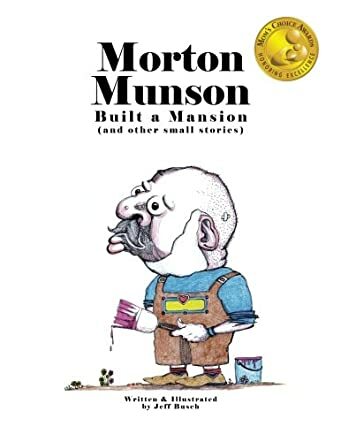 Every child out there that reads Morton Munson Built a Mansion, written and illustrated by Jeff Busch, will fall in love with it and it will be their new favorite book. I highly recommend this amazing read for children everywhere.